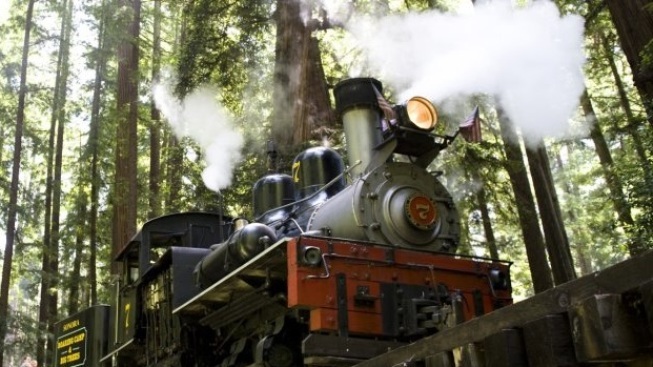 Create a scarecrow and admire steam-powered devices at Roaring Camp Railroad. Steam is a theme, and autumnal activities, too, at Roaring Camp Railroad on Saturday, Sept. 30 and Sunday, Oct. 1. MAKE & TAKE SCARECROWS... is one autumnal activity on the weekend-long schedule, but if riding a train, picking out a pumpkin, gold-panning, watching a blacksmith demo, or a print shop demo also appeal, you'll have a full Felton outing, indeed. As for the "steam" in the name? You'll be invited to "(b)ehold a variety of steam and belt-powered equipment on display." Getting in is as free as the wind through the area's pretty redwoods, but if you want to board the Steam Train, do bring money for that. And if your tot rides the Steam Train, too, and shows her ticket? She'll get to pick out a free pumpkin from the Harvest Pumpkin Patch. Steam, scarecrows, squash, sunshine, and a generally convivial atmosphere will take fall fans straight from September to October, over one whimsical weekend, at Roaring Camp Railroad.